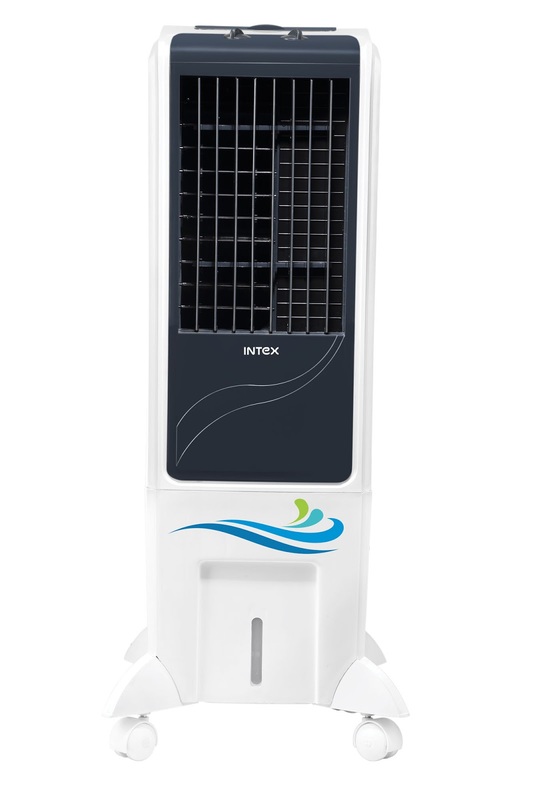 Intex Technologies, a leading consumer electronics major, expands its Air Coolers range with the launch of a new series in the segment along with a new Tower Cooler model. The new variants come with Anti-Bacterial Tank and a 2-Year Motor Warranty. The Tower Cooler model has a 25-litre and 50-Ltr capacity, Honeycomb Cooling, Big Ice Chamber and 2-year warranty on motor. All models offer an enhanced cooling experience, high durability against corrosion, remote control option and adaptability to run on inverters. Intex has introduced six elegant models in 4 segments - Desert (large), Window (medium), Tower and Personal (small) with capacity ranging from 20 liters to 80 liters. The elegant looking Intex Air Coolers are equipped with anti- bacterial Water tank to keep away bacteria and deliver cool and Healthy air. The cooling pads in the Air Coolers have used Aspen and Honeycomb Technology as they are designed to provide maximum cooling, low-pressure drop and longevity. The overload protector with Fan Motor gives a long life to Intex Coolers. The ‘Desert’ range is equipped with an Aero-Dynamic Fan Blade for a powerful air throw of up to 40 feet. The ‘Window’ range is designed for medium size spaces with strong air throw of up to 35 feet. The ‘Personal’ cooler will be compact and ideal for small spaces like kitchen, small work spaces, Puja Room and Children’s Room. All these air coolers come with efficient pumps and motors that consume less power as the cooler can run for as low as Re 1 per hour without compromising on air delivery and cooling effect. The product is adaptable and runs on inverters as well, giving consumers a respite from the summer heat. Features like a Strong Motor, Corrosion Resistant Body, Auto Drain, Honeycomb Cooling make Air-Coolers a must for house or office in summers. As part of its expansion plan of the Consumer Durables portfolio, since last year, Intex has added refrigerators and Air conditioners to its portfolio, enhanced its LED TV range with Smart LED TVs including 4K TVs and washing machines with fully-automatic models. A consumer electronics company with 6000+ employees, Intex Technologies has been in the business of mobile handsets, consumer durables and IT products since the last two decades. Intex Technologies is well entrenched in the country’s geography via a network comprising 1600+ distributors and 80,000+ dealers, besides a presence in organized retail chains and e-commerce sites. Intex Technologies’ 1500+ service centres across India cater to even the remotest consumer of the country. The company has state-of-the-art manufacturing facilities in India and Research and Development activities in India & China, which enable the company to be a pioneer of technology across categories of business.